We have professional technical skill, and systematic quality management system. We are the professional manufacturer of compressor series and hydraulic oil filter series. All products are manufactured right here, under the most rigorous quality standards. 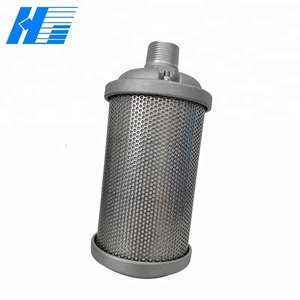 Hengshui Yinbeier Hydraulic Filter Co., Ltd. If you have any problems of air compressor, expect the compressor spare parts , we also could supply the maintenance advise for free, Try our to help you solve your problems. 2)Sale services: Our professional engineer team will provide you the satisfied scheme according to your demand. Packing & Delivery 1. 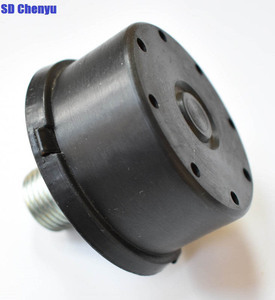 What's Minimum Order Quantity of your air compressor part9 the MOQ is 1pc for any air compressor spare parts, need you pay for the delivery cost. &middot; Note that the muffler channel cross-sectional area of the net, when the wind pipe and muffler connection, if necessary (when the wind speed limit) required for the enlargement process. &middot; Muffler muffler equipment installation, there must be independent of the load-bearing suspenders or base; to be connected to the sound source device through the soft joints. &middot; I nstallation Muffler mounting direction must be correct, and the wind pipe or flanged fittings should ensure tight and firm. Muffler For Air Compressor Size: 12*12*37cm Port: BSPT 1.5" We are air compressor manufacture ,and also supply spare parts for other brands such as Atlas, Kaeser, Compair,Sullair. if you have any inquiry, welcome to contact us. Air / oil cooler core, exhausting air cooler core, M iddle / Aftercooler core. 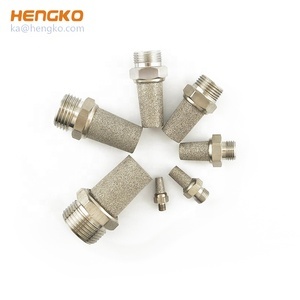 Stainless steel or copper cooler core for Atlas Copco oil-free screw air Atlas Copco, Ingersoll rand, Sullair compressor cooler also welcome OEM order. 3. Air and oil cooler for screw compressor, compact size and efficient construction. We are a professional supplier for piston and screw air If you are use kaishan brand compressor, if you need spare parts, please feel free to contact us, we all can supply to you, and most of them are in stock. Welcome to visit our factory and would like to start the cooperation with you in the near future. If you are interested in our screw air compressor parts, please feel free to contact me,thanks. Wuxi Niceair Industry Purification Equipment Ltd.
Henglong (Xiamen) Machinery Equipment Co., Ltd.
Alibaba.com offers 2,056 air compressor muffler products. About 9% of these are air-compressor parts, 1% are agriculture machinery parts. A wide variety of air compressor muffler options are available to you, such as air filter, air dryer, and valve. You can also choose from free samples, paid samples. 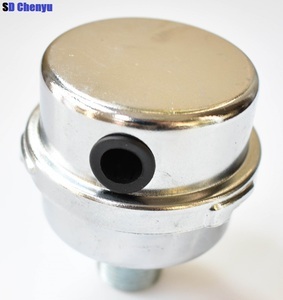 There are 1,985 air compressor muffler suppliers, mainly located in Asia. The top supplying countries are China (Mainland), Poland, and Malaysia, which supply 99%, 1%, and 1% of air compressor muffler respectively. Air compressor muffler products are most popular in North America, Domestic Market, and Southeast Asia. You can ensure product safety by selecting from certified suppliers, including 549 with ISO9001, 145 with Other, and 36 with ISO14001 certification.